You already know your gadgets are multi-tasking digital miracle workers, but did you know that they can also be used for purposes far beyond what they're designed for? TVs aren't just for watching your favorite shows and movies, and your dishwasher can do a lot more than make your tableware squeaky clean. Here are some fun and quirky projects to try on your spare time. 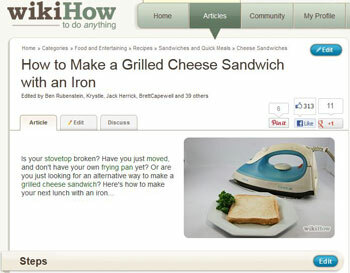 Don't have an oven or a microwave? No problem. Grab some foil next time you're in the supermarket and kill two birds with one stone next time you wash your dishes. 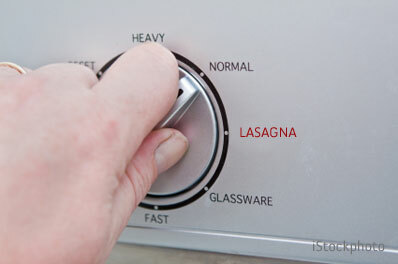 You can use your dishwasher to cook many, many things, including lasagna and chicken. Simply assemble your dish and wrap it in foil, making sure you roll up the edges tightly and that the foil has no holes. Pop the packaged food into the dishwasher and select normal cycle at the highest heat setting. When the cycle's done, check if your food has been thoroughly cooked before digging in. available on Amazon for $10.99. When you drive a car, its engine heats up. To cook food, you need heat. 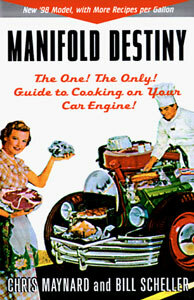 So next time you go on a road trip, why not cook your meal under the hood while you drive? Like cooking in the dishwasher, you need to wrap your food in foil. Drive around for a bit, then open your hood and find the hottest part of your engine with no moving parts in the way. Put your food package in a place where it will be snug so it doesn't move around. Wisebread.com has detailed instructions on car engine cooking as well as recipes you can try out, including Cajun shrimp and chicken wings. Yum! Let's say you're going to stay at a hotel, and hotel food is way beyond your budget - what do you do? Pray that your room has a coffee maker you can use and pack food you can cook in it. These include food you might have easily guessed can be cooked in a coffee maker, like noodles, oatmeal, rice, and eggs, but you can apparently even use the caffeine machine to cook chicken, fish, and pasta, among many others. You can even reportedly brew beer in it! So you can cook lasagna in your dishwasher, hot dogs on your car engine, and noodles in your coffee maker, but what if you just want some good ole' grilled cheese? Easy - just wrap your sandwich in foil and iron it out… literally! You use sponges to clean things, but what do you use to clean sponges? A study published in 2007 shows that one of the best ways to make sure your sponges are bacteria-free is to nuke them in the microwave. According to the study, microwaving sponges for two minutes in the highest heat setting kills 99% of bacteria, including E. coli. Just make sure your sponges don't have metal particles and that you microwave them wet! So you've long replaced your old CRT monitors with thinner LCD or LED screens, eh? If you have pets that live underwater, you might want to fish that chunky screen out of your basement or even the dumpster. 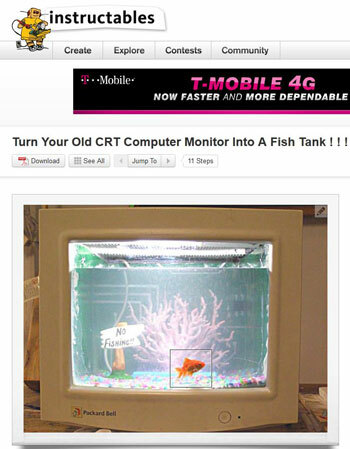 Check out Instructables to find out everything you need to know on how to turn old CRT displays into aquariums. While you're dumpster diving for your old CRT display, consider finding your old keyboard you threw out with it, too. You can use keys from old keyboard and even old flash drives to make accessories and jewelry as the ultimate testament to your geekiness. Who knew your technology had so many uses! If you know of any novel ways to make your appliances work harder for you in unexpected ways, let us know in the comments. Don’t know if they qualify but this week my husband and I used our cell phones to communicate while adjusting the TV antenna & my sister & I used Tango so I could “see” to help her fix a computer problem. You can use your old PCs and MACs as planters, too! My 1993 Quadra950 grew a nice crop of tomatoes! I also have a recipe from one of my mom’s friends for dishwasher turkey: it’s really good!